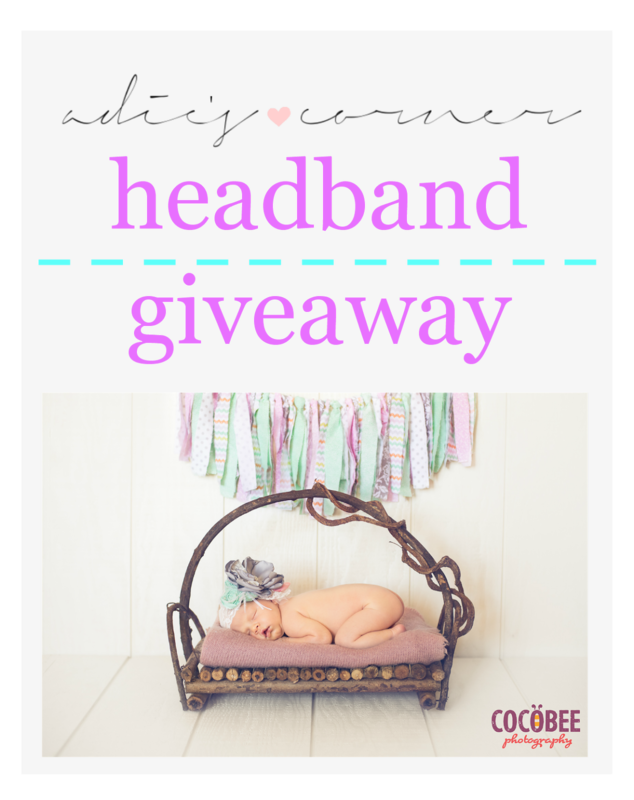 We are so excited about Adie's Corner! We have reached 500 likes on Facebook and we have to CELEBRATE! And what better way than to give stuff away! This time we are giving away one of our headbands! Perfect for any occasion and who doesn't want something a little pretty!? The best part is you get to customize the colors which is perfect for your Fall outfits and any family pictures coming up! Good luck everyone and we will announce our winner on Monday October 7th! The more you share it and pin it the better your chances! We can't wait to see who wins and how you accessorize it! Got it covered. I just barely came across your stuff but it's SUPER cute! My little one is challenged in the hair department so far so headbands are a must! We are so happy you WON! You can either customize your headband or get this cute one in the picture! Email us at adiescorner@gmail.com for all the details! Done and Done! Love this! I seriously look forward to your cute blog posts! Thanks for always having darling outfits! Done!! :) So cute!! Are you still selling stuff through Lil' Raskals Boutique? I went and bought a bunch of stuff when i heard they were closing but they're online now right?